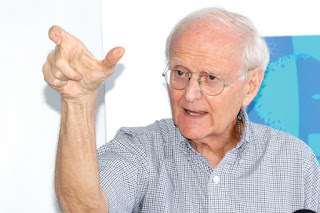 Friday August 24, 2018 - IPSOS lead researcher, Tom Wolf, has said that the report they released on Wednesday reflects the true perception of Kenyans towards corruption. This is after research showed that Deputy President William Ruto and Kirinyaga Governor Ann Waiguru were the most corrupt individuals in the country. Speaking yesterday, Wolf said the company chose to conduct the poll based on the increased number of corruption scandals revealed recently. “The questions we asked were driven by the current situation in the country,” Wolf said during an interview. This comes after Deputy President William Ruto and Kirinyaga Governor Ann Waiguru threatened to sue Wolf and his firm for tainting their names by alleging that there were the most corrupt in Kenya. Wolf further defended the research saying they did not suggest any politician’s names to their respondents while conducting the survey. in your short fall statistic: where does the president fall? the dp can't be blamed for his baggage!